We bring you the fruits of our deal-finding labours every week in our Real Deals newsletter, but we know that sometimes you can’t go on the dates we give, or you’ve got your heart set on somewhere else. That’s where our live holiday search comes in. It’s simple, you plug in your destination and travel dates and we’ll search through our database for companies offering holidays to match. Then, click on the individual companies to go through to their sites and see what they can offer you. We’re often getting queries from you lot asking us to help you find that perfect holiday, so I’ve got a few example here to show you how the search works. Choosing All London Airports gives you many more options, so if you’re flying out from the south of the country it’s worth thinking about. For this search, there are three providers to choose from, so I’m looking at them all to see what they can offer Tom. On The Beach and Alpharooms both came up with seven nights at the Green Nature Hotel in Dalaman, with the cheapest price of £300 per person (all based on two sharing). Thomas Cook are a little more expensive, but this hotel in Marmaris looks like an ideal relaxing getaway. Seven nights at the Suntopia Marmaris Imperial Hotel are £553 per person. All three sites have other hotels to choose from too if you like to do some research about the locations. For this search, I decided to play with the travel dates, searching around the first week in February. You can choose to search for holidays only on the exact dates you want, or if you’re flexible, choose three days or seven days either side. Being more flexible means more chance of getting the cheapest deal! All the Canary Islands are individually included in our holidays search list, so do a little research beforehand – Lanzarote is my favourite so I think Katie will love it there – or try out a search for all of them! 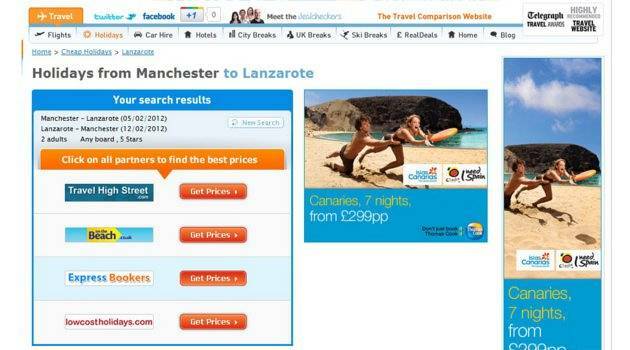 With four companies to search for holidays with I’m pretty sure we’re going to find a great offer! Travel High Street come up with a room only 5* holiday for £259 per person (all based on two sharing) at the Marconfort Atlantic Gardens Bungalows, whilst On The Beach are ready to hit you with all-inclusive luxury at the Dreamplace Gran Castillo for £570 per person. Expressbookers offer a choice of board so you can tailor your hotel, prices are from £806 per person at the Princess Yazia Suite Hotel but Lowcostholidays are unable to find us a five-star hotel on this occasion. Unsurprisingly, Islamabad doesn’t make it to our popular holiday destinations search, so I’ll have to find the flights and hotels separately. It’s not a spot I know that much about either, so I’ve had a quick search online to see when it’s best to go there. October to May is the verdict so let’s look for April holidays with a two-week duration. There are three flight providers for this trip with EasyVoyage beating Netflights and Hoodaki with a return price of £432! Now on to hotels. This comes up with two of our most popular hotel providers, Expedia and Laterooms. 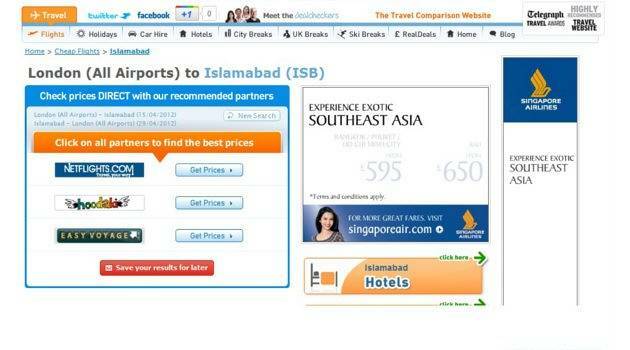 Two weeks here is not going to come cheap it seems, with Expedia’s best price for the Best Western being £815. Laterooms are much better though, with a room at the New Cape Grace House for £390. That means Tim can take his dream trip for just £822! Why not try our searches for yourself? 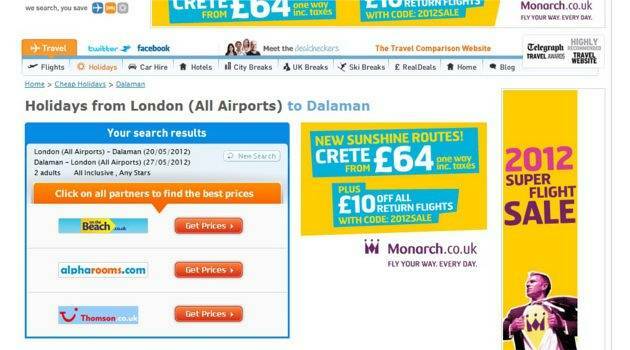 We’ve got holidays, flights, hotels and carhire too! Feel free to get in touch with us for a little extra helping hand though – you can post on our Facebook wall, send us a tweet @dealchecker or email us enquiries@dealchecker.co.uk.